Hillary Clinton wasn’t the only loser in last year’s elections. Facebook and the media were put on the defensive about their role in what has become known as “fake news,” which has spread in a “post-truth” political climate. And that has implications for brands that produce content: With the rise of fake news, content marketers eager to maintain their reputations must focus on making sure that their content is truthful. It’s too easy to get duped by a false “news” story, which can have an adverse impact on your credibility in your industry and possibly even your site’s rankings. In 2005, comedian Stephen Colbert popularized the term “truthiness,” which he defined as “the belief in what you feel to be true rather than what the facts will support.” The word tapped into the zeitgeist. The Oxford English Dictionary decreed it Word of the Year for 2006. In November, a Buzzfeed News analysis found the 20 fake news articles about the election shared most frequently on Facebook were interacted with almost 1.4 million times more than the 20 most-shared real news stories about the election. With money to be made in peddling phony news, sites have sprung up in countries like Georgia and Macedonia with the sole purpose of generating ad revenue. It’s no surprise that fact-checking has been discussed as a way to debunk fake news (Facebook recently announced a partnership with a fact-checking network), but fact-checking isn’t just for journalists. It’s important for content marketers, too. Fundamentally, fact-checking is an issue of credibility. If your brand can’t be trusted to post accurate content, why should customers trust its claims about its products? If your brand doesn’t have a strong reputation, it doesn’t have much. Damaging your brand’s reputation isn’t the only potential fallout from publishing content that’s fuzzy on the facts. “Depending on the length and depth of your content, a relatively small investment of time and money could minimize your brand’s vulnerability to a libel or defamation lawsuit,” Cara Cannella of Contently’s Content Strategist blog points out. Fact-checking saves you from another dangerous mistake: plagiarism. Both unethical and illegal, plagiarism can also hurt your SEO ranking, making it less likely your content will reach your audience. For many marketing teams working on tight budgets and even tighter deadlines, fact-checking can seem like an easy corner to cut. But the risk of a libel suit or an embarrassing gaffe that damages your brand is just not worth it. Fact-checking needs to be part of your editorial process. At my firm, our fact-checkers have become a vital part of our editing process and give us valuable peace of mind. They correct our errors, clarify areas that are vague, and steer us clear of any major mistakes that could misrepresent the topic. Our editorial process involves a content strategist, writer, and a fact-checker. The content strategist creates the long-term strategy and assigns work to the writer, who researches and writes the content. The content strategist then edits the content, and sends it to a fact checker, who reviews the article and checks all resources, facts, and claims. After the fact-check is complete, the content is sent back to the content strategist, who reviews the final product and sends it to the client. 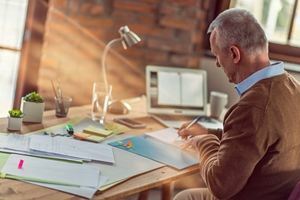 Your process may look a bit different—perhaps your content manager and writer are the same person, or perhaps your content manager serves as the fact-checker—but it is important to include fact-checking as its own step, separate from editing and revising. Your fact-checker should also be a person other than your writer and editor. How does a fact-checker ensure information is accurate? Confirm against multiple sources. Information is likely more reliable if it comes from more than one source. Check for plagiarism. Even an honest writer with good intentions will sometimes pull a quote from an article and forget to cite the original author. A fact-checker will identify text taken from somewhere else and make sure it’s either properly cited or rewritten. If in doubt, leave it out. If you can’t verify a fact from multiple sources, or if a statistic seems strange for some reason, don’t include it. Instead, find something you are confident is accurate and genuine. Include fact-checking as part of your editorial process to make sure there’s no “truthiness” in your content, just the cold, hard facts. It feels good to publish content you know is authoritative and accurate.